Craftholic® plush stuffed animals in Asia all the rage! They are new to the Dutch market. Craftholics come from the Craft planet to play on earth with you. Did you get a hug Craftholic® at home, then you become really addicted to! Craftholic® Each has its own character. There are four characters: Sloth, Korat, Loris and Rab. So there is always an opportunity to make a gift Craftholic® hug, a friend (in) or to yourself. Have you already looked for a nice hug? Let yourself be tempted by such a fun and super soft Craftholic® hug. Order soon your super soft Japanese hug! Look here for the promotional video of Craftholic® . This cheerful cuddly rabbit has a special comic form. 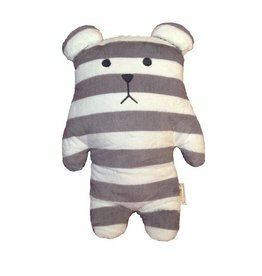 It will stand out among all the other cuddly toys! 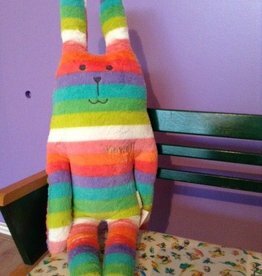 This cheerful rabbit stuffed with rainbow colors is always cheerful and happy! Buy your super soft bunny hug!